Click the HotSync button on the Palm USB cable to install the application. Once the application is installed on your smartphone, it will appear on the home screen. Connect your Palm smartphone to your Windows PC and launch the Palm Desktop. Within the Palm Desktop select the Quick Install option in the left-hand panel. Copy the impaticized presentation to the smartphone or expansion card using the Palm Quick Install application available through the Palm Desktop. 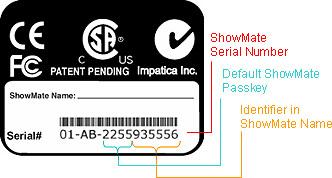 (Follow the same instructions that were outlined for installing the Impatica Viewer application.). The impaticized presentation will be installed to the device and will appear in the presentations list within the Impatica Viewer application.